The Percival diamond disappears when twins, William and Elsie Percival, are children. Not too long afterwards, their parents die. They unearth a trunk in the attic; the contents: the secret to the Percival diamond, and set out to find out what happened to it. Mary, their cousin, whom the siblings have not seen in many years, may be able to unlock the mystery and so a house party is organised in her honour. The party guests that arrive at Oakmere Hall are a mixed bunch. Death also pays a visit, bringing Inspector Thomas and his bumbling sidekick Constable Turner up to the estate to try to unravel the enigma. "A jewel of a novel, shimmering with intrigue and suspense." "I couldn’t put it down, and I didn't guess the murderer either!" "Compelling mixture of chills … with threads of humour running through it." 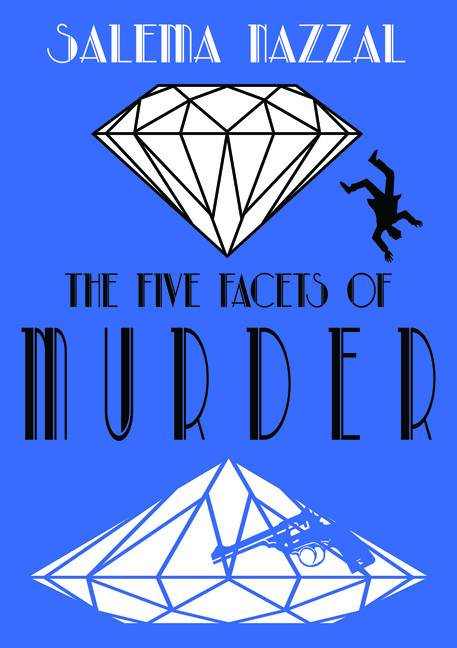 "All the elements of the 1930s murder mysteries are captured in this story." "Brilliant whodunit with laugh-out-loud moments. I love this author’s style."